Guillaume Bouchard has written a must-read article in Search Engine Watch if you’re a small business owner. He is the co-founder and president of NVI, a Montreal-based company specialized in interactive strategies. Founded in 2004, NVI has quickly become the largest web agency specializing in SEO and Social Media in Canada with over 50 employees. If you’re a small local business, having a Google+ Local profile is imperative to putting your brand – quite literally – on the map. Google Places was recently replaced with Google+ Local – a merging of Places and Plus that serves up your Google+ Local listing in Search and Maps results on mobile devices and traditional browsers. Whereas Places was a static listing, Local is dynamic and social. Outrank your competitors in local search. Build the authority of your brand through +1’s and user reviews. Convert more visitors into leads and clientele. 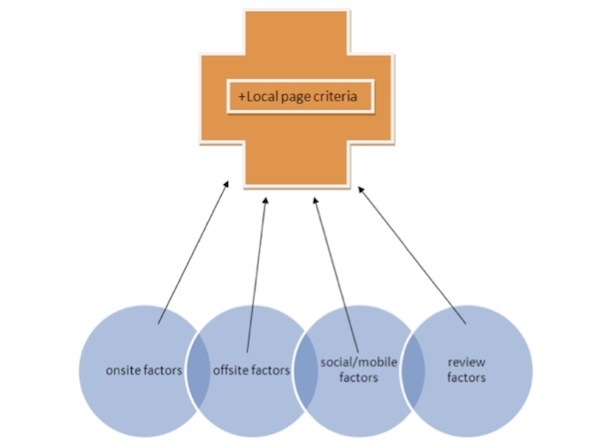 * 50 percent of mobile search is local. * 61 percent of local searches result in purchases. * 50 percent of smartphone shoppers use a GPS/mapping app to find a retail location. * Only 33 percent of advertisers have a mobile optimized website. With more than 1 billion smartphone users around the world, a number expected to reach 2 billion by 2015, it’s no surprise that mobile search is quickly becoming the number one way users search. And, when people search with their smartphones, they’re looking for something local. How do you unlock the full potential of +Local? Follow these six steps to learn the dance.